Cheshire – Nancy Fanning Rabbott, 89, died peacefully on Sunday, March 24, 2019, in Hamden, CT. 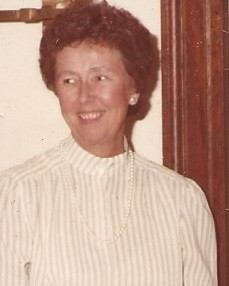 Wife of the late John P. Rabbott, Jr., mother to the late Nan E. Rabbott. Nancy was a Waterbury native and the daughter of Helen Cassin Fanning and Raymond J. Fanning, former editor of the Republican American. She is survived by her daughter, Lisa Rabbott Anthony, and her husband, Timothy James Anthony; her grandchildren, James Jee Hak Anthony, of Cheshire; Meghan Fanning Anthony, of Washington, DC; her brother, Richard D. Fanning, of Cambridge; and her niece, Karen Fanning Bradshaw of Hingham. She is also survived by her most dear friend, Maureen Devlin, of Milford. A graduate of Crosby High School, she taught elementary school for 4 years in Waterbury. She continued to Albertus Magnus College for a BA and thereafter received a Master’s Degree from the University of Connecticut in Education. Nancy’s career was lengthy and immensely enjoyable, serving as Director of Student Affairs at Yale University, Graduate School of Forestry. Nancy was very close with her younger brother Richard, who played many tricks on her. They also shared a similar Irish sense of humor. Meghan, her granddaughter, was especially close to Nancy or “Mimi” as Meghan called her. She will be forever in our hearts. She loved her life and had more friends than most. Mass of Christian Burial will be celebrated at St. Bridget’s Church, 175 Main Street, Cheshire on Friday, March 29 at 11:00 a.m. Friends may visit with family from 10:30 a.m. until Mass begins. Burial will be held privately at a later date.